DURBAN, South Africa, July 12, 2010 (AFP) - As South Africa comes down from its World Cup high, the country is already looking for its next sports fix, raising the prospect of an Olympics bid. 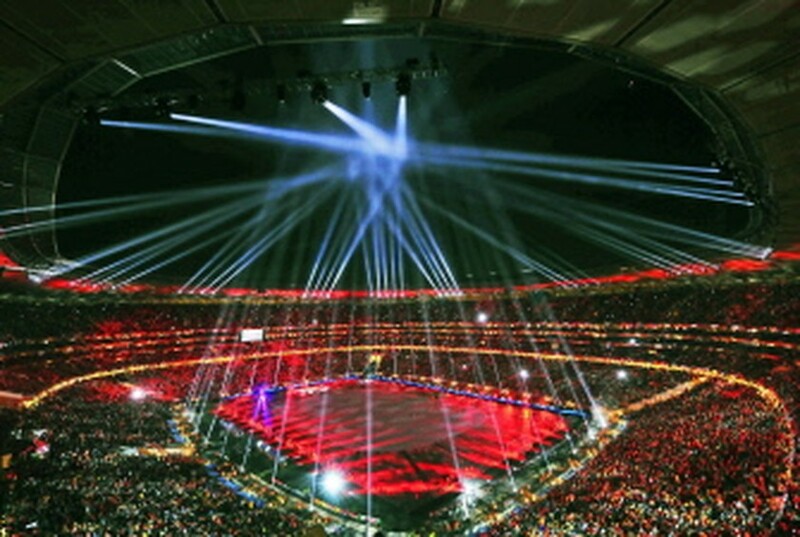 South Africa poured 38 billion rands (five billion dollars, four billion euros) into preparations for the first World Cup in Africa and largely overcame fears about crime and poor transportation, hosting a tournament that has been widely applauded as free of major glitches. Now, as many South Africans voice sadness at the end of the party, the country is looking at ways to keep up its new international profile and maximise its investment, including by launching a bid for the summer Olympics. President Jacob Zuma said the World Cup had proved South Africa has the resources and infrastructure to host the games, which have never been held in Africa. "I don’t see why we can’t bid to host the Olympics in the future. It's important for Africa," he said in an interview with football governing body FIFA. Olympic chief Jacques Rogge said he would be glad if a South African city made a bid to host the Olympic Games. "I think it's absolutely normal that they think of the future; what next after the FIFA World Cup?" the president of the International Olympic Committee said. "So we're glad that they're thinking about the Olympic Games." Cape Town sought in 1997 to become the first African host of the Olympic Games, but failed to win the 2004 edition and the country turned its focus to the World Cup. The race to stage the 2020 Olympic Games opens next year, with an IOC decision in 2013. Indian Ocean port city Durban has already dropped hints of an Olympic bid after getting glowing reviews during the World Cup for its seaside fan park, warm beaches and soaring new 450-million-dollar stadium. "When we started preparing for the World Cup, we developed a strategy called '2010 and Beyond'. We said whatever we do in the city must be looking at beyond the World Cup," the city's general manager, Michael Sutcliffe, told AFP. "When we built the new stadium, (we said) it must accommodate the Olympics, must be able to accommodate the Commonwealth Games, accommodate international athletics, so we built the stadium under the same requirements that you would need for FIFA World Cup and the Olympics." The city will get to show off its facilities in July 2011, when the International Olympic Committee will meet in Durban to choose the 2018 Winter Olympic host. Gideon Sam, the president of the South African Sports Confederation and Olympic Committee, an independent organisation that handles the country's bids for major sporting events, said Cape Town, Johannesburg and Pretoria would also be contenders for the summer games. Sam said there was a lot of work to do before launching an Olympic bid. "At this point in time, there are no cities that have the requisite infrastructure that the Olympic movement would need," he told AFP. But he said the World Cup had given South Africa the confidence to go for the summer games. "By all reports, it seems everybody's satisfied with the way that South Africans have pulled this one off (the World Cup). I think it has given them confidence to go another step further."